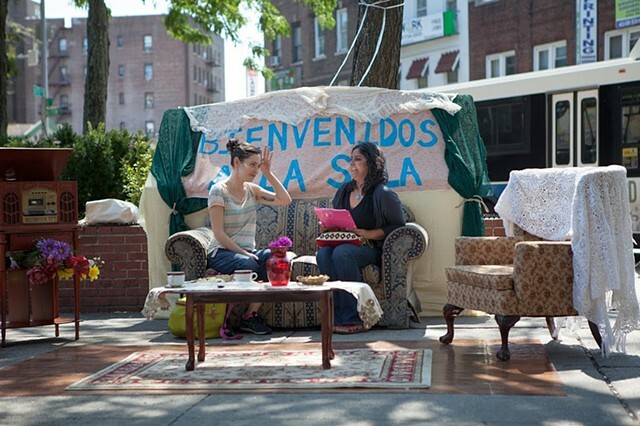 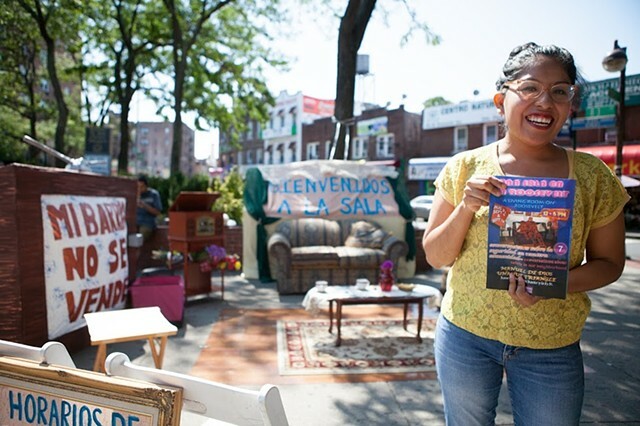 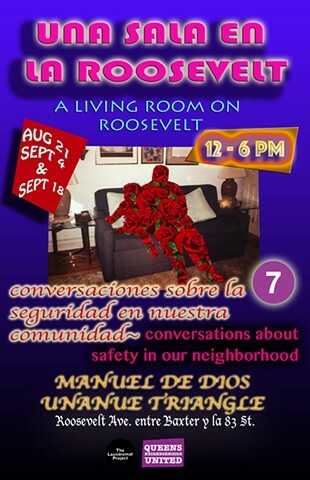 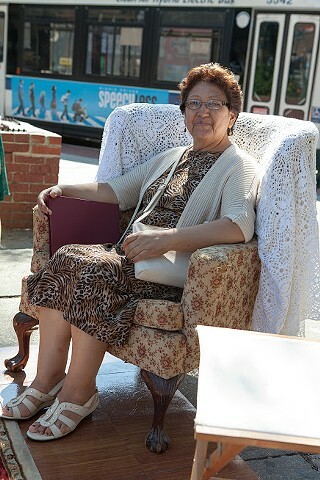 A Living Room on Roosevelt//Una Sala En La Roosevelt brings an interactive living room, a typically private and domestic space, into the commercial corridor of Roosevelt Ave with the purpose of creating an intentional space for community members to have conversations, share knowledge and history related to issues of community safety in Jackson Heights. 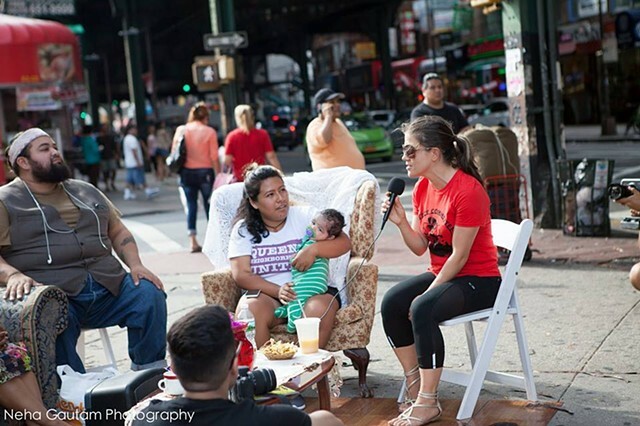 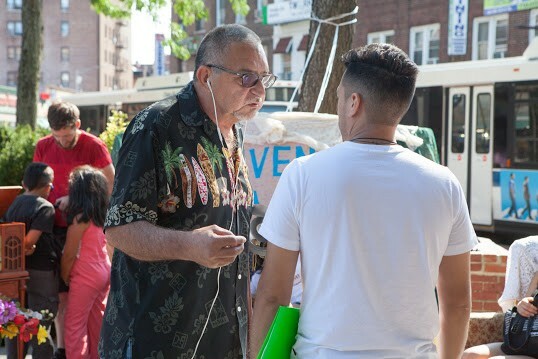 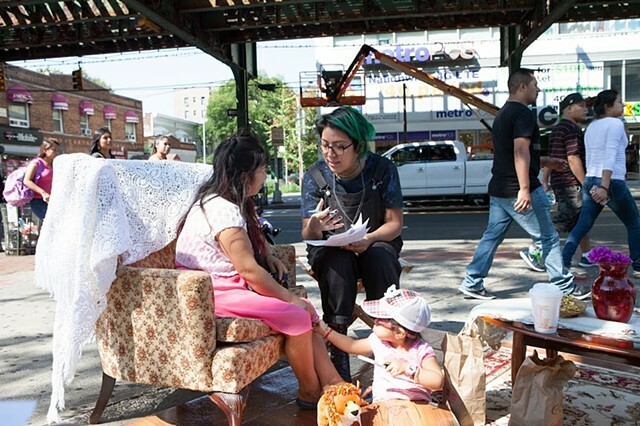 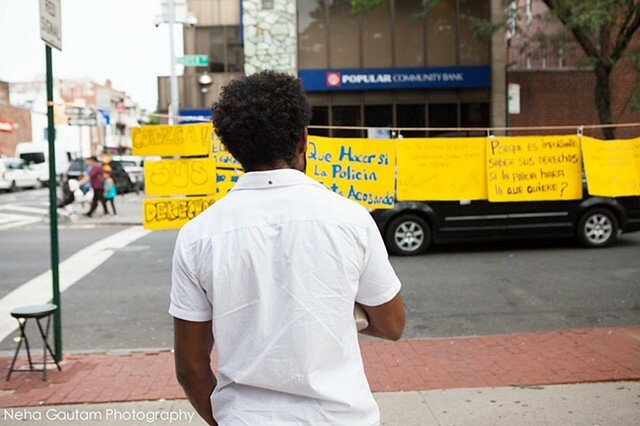 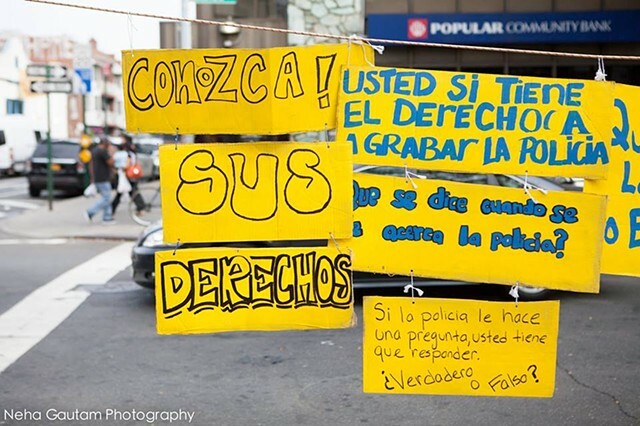 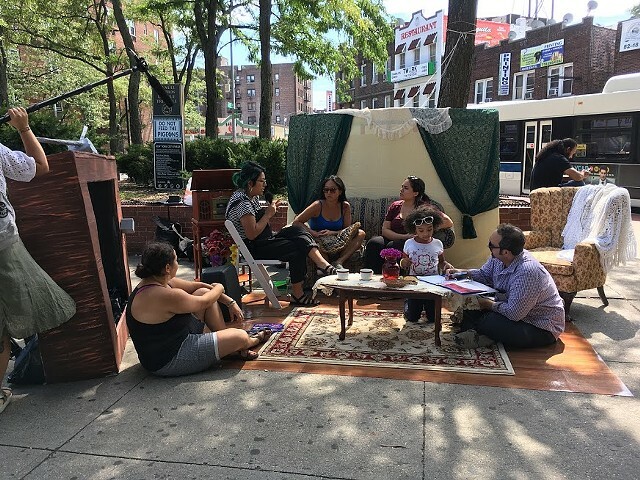 In partnership with Queens Neighborhoods United (QNU), a local grassroots group that works directly on issues of displacement, this project will engage the public through open dialogues, surveys, and one on one conversations tied to current, intersecting issues in Jackson Heights as connected to immigration, policing, and displacement. 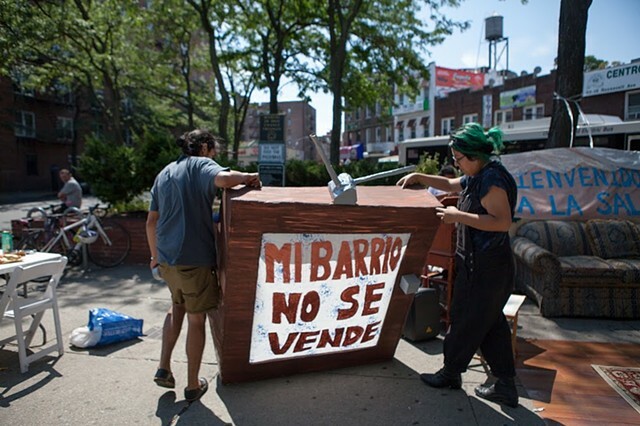 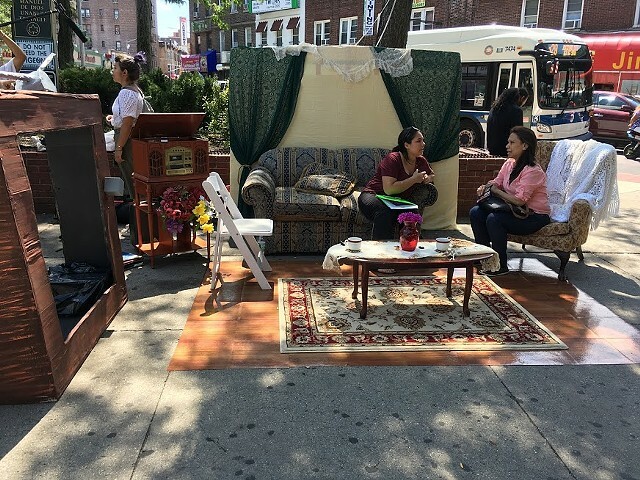 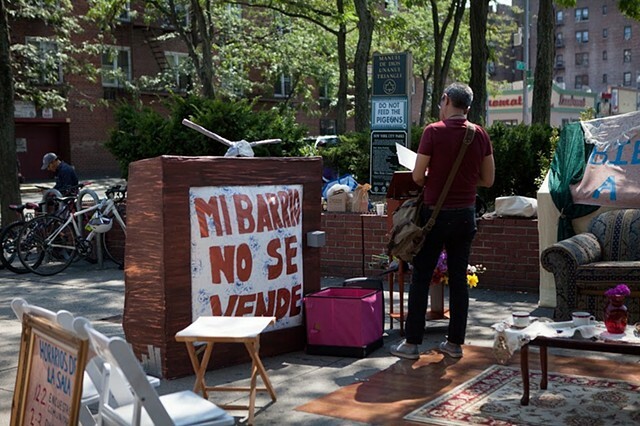 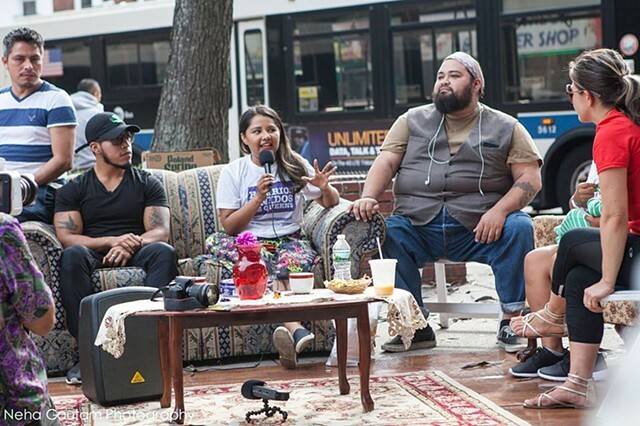 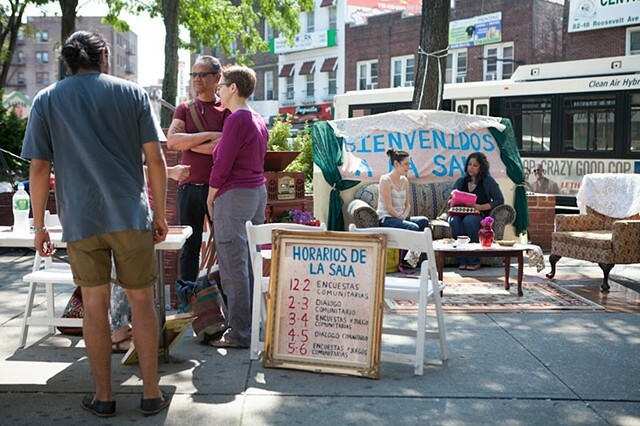 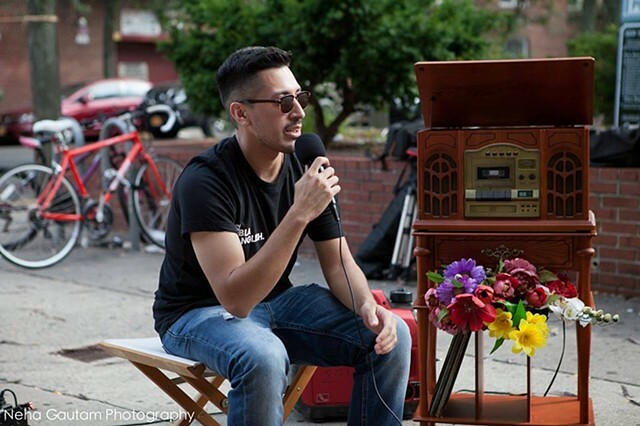 The living room also serves as a celebration of the everyday creativity, resilience, and resistance present within the immigrant communities of Jackson Heights.